For shopping fun, head to Greenmarket Square or Uwe Koetter. Get in touch with nature at Boulders Beach and Llandudno Beach. There's still lots to do: stroll through Cape of Good Hope, browse the eclectic array of goods at Old Biscuit Mill, take in the waterfront activity at Victoria & Alfred Waterfront, and look for gifts at Shimansky Jewellers. To find ratings, traveler tips, where to stay, and tourist information, you can read our Cape Town tour planner. Berlin, Germany to Cape Town is an approximately 16.5-hour flight. Traveling from Berlin to Cape Town, you'll lose 1 hour due to the time zone difference. December in Cape Town sees daily highs of 31°C and lows of 19°C at night. Finish your sightseeing early on the 18th (Mon) so you can drive to Hermanus. On the 18th (Mon), look for gifts at Peregrine Farm Stall, look for gifts at Hemingways of Hermanus, and then stop by Funky Vibes. Get ready for a full day of sightseeing on the 19th (Tue): enjoy the sand and surf at Voelklip Beach and then kick back and relax at Grotto Beach. 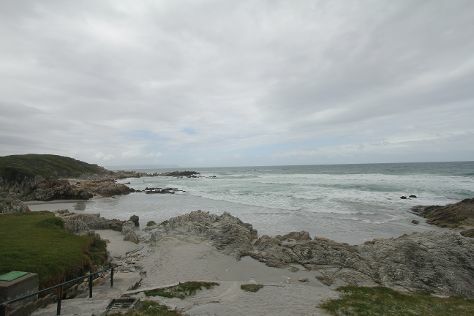 To see maps, more things to do, other places to visit, and tourist information, refer to the Hermanus day trip planner . You can drive from Cape Town to Hermanus in 1.5 hours. Another option is to do a combination of bus and taxi. Expect a daytime high around 31°C in December, and nighttime lows around 19°C. Wrap up your sightseeing on the 20th (Wed) to allow time to travel to Nelspruit. For shopping fun, head to Riverside Mall or Ilanga Mall. 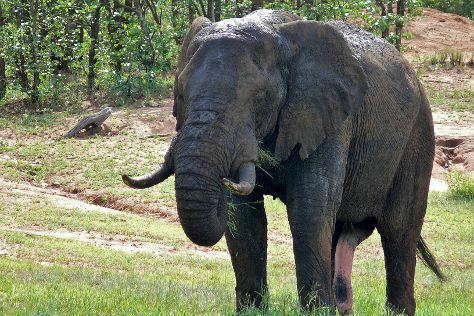 Spend the 21st (Thu) exploring nature at Kruger National Park. There's much more to do: look for gifts at Joubert en Seuns Padstal, admire the natural beauty at Lowveld National Botanical Garden, and savor the flavors at Shautany Chocolatiers. To see other places to visit, traveler tips, photos, and more tourist information, go to the Nelspruit trip itinerary builder . Traveling by combination of taxi and flight from Hermanus to Nelspruit takes 4.5 hours. Alternatively, you can do a combination of taxi and flight; or drive. In December, daily temperatures in Nelspruit can reach 30°C, while at night they dip to 20°C. Cap off your sightseeing on the 23rd (Sat) early enough to go by car to Hoedspruit. Shop till you drop at 24 Degrees South and Kingfisher Gallery. Get outdoors at Game drives at Phalaborwa Gate in Kruger National Park and Thornybush Game Reserve. 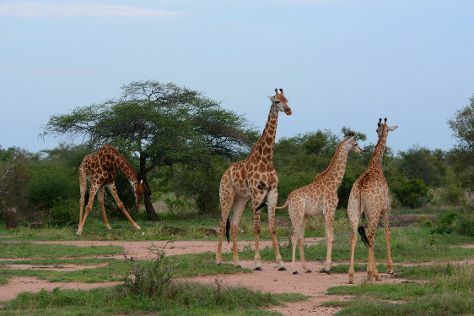 When in Hoedspruit, make a side trip to see Safaris in Kruger National Park, approximately 1 hour away. There's more to do: browse the exhibits of iNyoka Art Gallery and stop by Kumbaya Home Decor. To find ratings, more things to do, where to stay, and other tourist information, you can read our Hoedspruit road trip planning app . Traveling by car from Nelspruit to Hoedspruit takes 2.5 hours. Alternatively, you can do a combination of flight and taxi. In December in Hoedspruit, expect temperatures between 33°C during the day and 20°C at night. Finish your sightseeing early on the 26th (Tue) so you can travel to Johannesburg. Head to Market on Main and The Bryanston Organic and Natural Marketfor some retail therapy. Step out of Johannesburg to go to Sandton and see Montecasino, which is approximately 32 minutes away. There's lots more to do: see the interesting displays at Apartheid Museum, enjoy breathtaking views from Carlton Centre, find something for the whole family at Gold Reef City, and look for gifts at Sandton City Shopping Centre. To see maps, more things to do, ratings, and other tourist information, refer to the Johannesburg trip itinerary planning site . Getting from Hoedspruit to Johannesburg by flight takes about 3 hours. Other options: do a combination of taxi and flight; or drive. In December, daily temperatures in Johannesburg can reach 32°C, while at night they dip to 18°C. Wrap up your sightseeing on the 29th (Fri) early enough to travel back home.